In 2011, the finished product was as much a result of the farming and winemaking decisions as it was the vineyard. In 2012, it was almost the complete opposite. An early Spring with a terrific set and a long warm, but never hot Summer, led us to one of the best vintages in recent memory, perhaps ever. The conditions were such that each vineyard was allowed to slowly and fully mature, allowing for the best and most individual expressions possible. 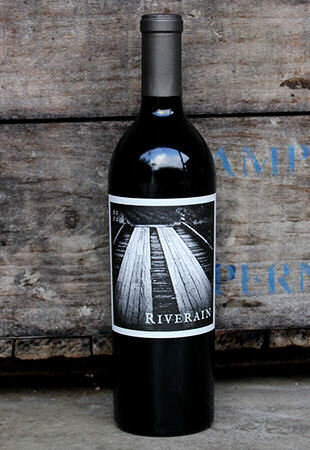 The 2012 Riverain Cabernet Sauvignon is a terrific combination of understated power and finesse. The length and mouth feel of this wine are classically Oakville – long, silky and seamless. A juicy red fruited mid-palate, offset by a gravelly minerality, all framed by fresh, lifting acidity. A wine with wonderful balance, it should drink well for many, many years to come. "The 2012 Cabernet Sauvignon, which comes from the Tench Vineyard in Oakville is a beauty, offering classic créme de cassis, cedar wood and fruitcake notes intermixed with licorice and underbrush. The wine is full-bodied, opulent, complex, and like most 2012s, already showing plenty of flamboyant and exuberant characteristics. Drink it over the next 15 or more years. -- 95 points"